This is all about Billy Wilder. The great. Beginning his screenwriting career in 1929 Germany, Wilder would make a definitive mark on Hollywood from behind the camera, both by way of his his pen and later as a premier director. 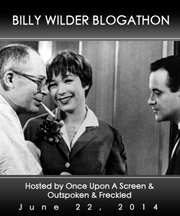 Films written by or directed by Billy Wilder continue to spark debate and adoration to this day thanks to his sharp wit and memorable imagery. 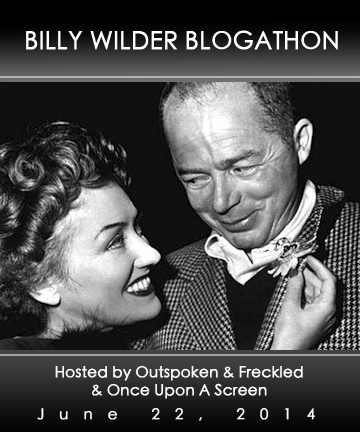 Wilder directed only 27 films yet stands among an elite group of seven directors who have won Best Picture, Director and Screenplay Oscars. 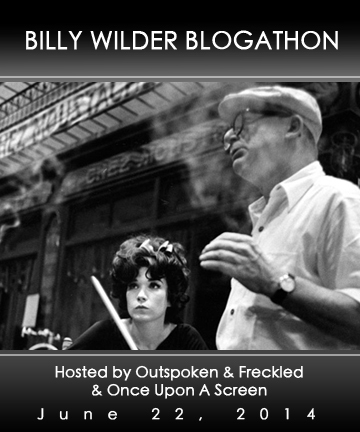 These may be mere numbers contrived from opinion, but they are nonetheless impressive: Five Billy Wilder films are listed on the American Film Institute’s (AFI) list of 100 Funniest Movies of all time: Some Like It Hot (1959) is listed at #1, The Apartment (1960) at #20, The Seven Year Itch (1955) at #51, Ninotchka (1939) at #52 and Ball of Fire (1941) at #92. 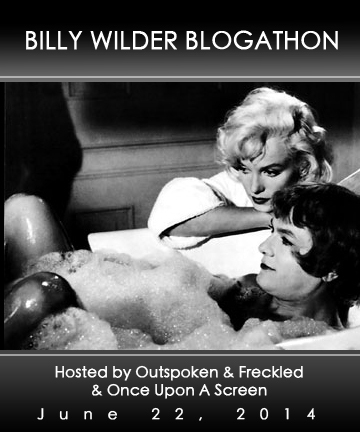 Four Wilder films are on the AFI list of 100 Greatest Movies of all time: Sunset Blvd. (1950) at #16, Some Like It Hot (1959) at #22, Double Indemnity (1944) at #29 and The Apartment (1960) at #80. And perhaps most astonishing – when one considers his mere 27 films – is the fact that Wilder directed fourteen different actors in Oscar-nominated performances. 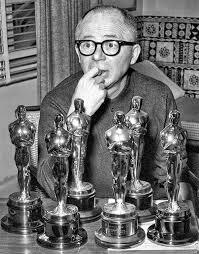 Now, putting all stats and numbers aside, what makes Billy Wilder one of the greatest directors who ever lived is not reflected on a list nor is it illustrated by his numerous awards, but rather by his enduringly entertaining filmography. A Wilder film grabs the viewer from the opening shot and always leaves a lasting impression because a Wilder ending is always memorable. 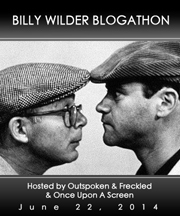 For all of those reasons and because we’re ‘girls gone Wilder’, Aurora of Once Upon A Screen and I -Kellee (@Irishjayhawk66) of Outspoken & Freckled- are beside ourselves with excitement to announce The Billy Wilder Blogathon. This will be a one-day event to celebrate this master’s work on what would have been the 108th anniversary of his birth on June 22. And we hope you are willing and able to join the celebration. 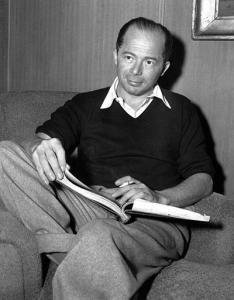 Entries can be anything Wilder related – commentaries on his films or television work, created by his pen or from his place behind the camera. You choose, blog and post and we’ll be sure to enjoy it. Let us know which Billy Wilder film or TV program you’d like to dedicate a post to. Choose from any he wrote, directed or produced. Post your entry by June 22 so we can properly promote it in celebration of his birthday. Be sure to include the title of your blog, twitter tag, etc. or any information that would assist us in identifying your page and facilitate communication. 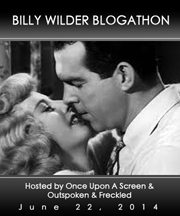 Please post one of the event banners on your site and in your entry to help us promote the Wilder love. Have fun! 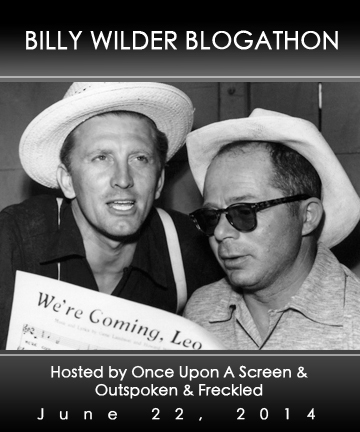 It’s sure to be a Wilder time! Wide Screen World – Sunset Blvd. 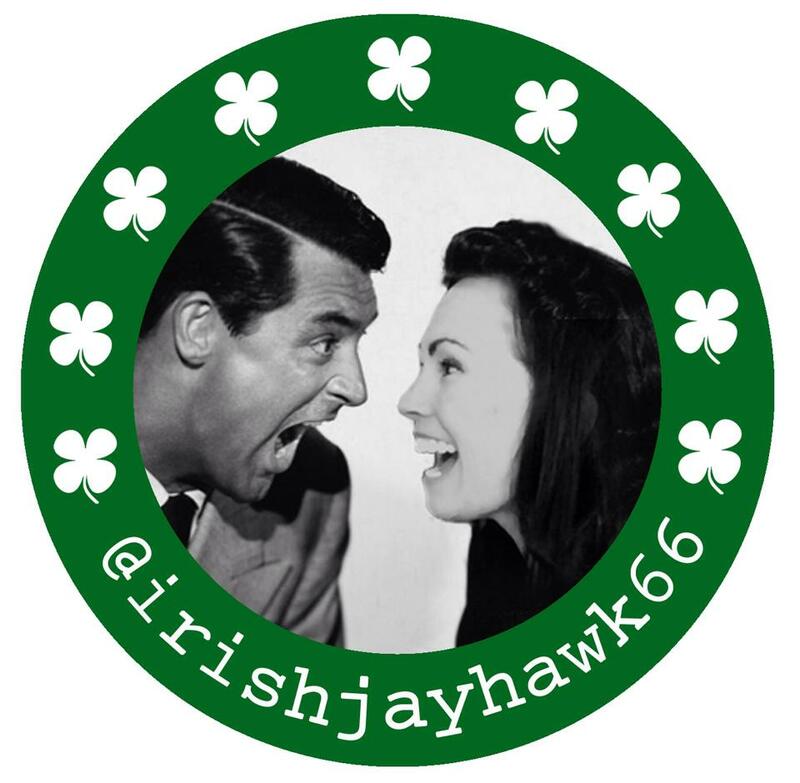 CASINO ROYALE (1967), LOVE IN THE AFTERNOON (1957), THE SEVEN YEAR ITCH (1955), THE EMPEROR WALTZ (1948), BUDDY BUDDY (1981), THE BISHOP’S WIFE (1947), A SONG IS BORN (1948), HOLD BACK THE DAWN (1941), ARISE MY LOVE (1940), RHYTHM ON THE RIVER (1940), THAT CERTAIN AGE (1938), BLUEBEARD’S EIGHTH WIFE (1938), CHAMPAGNE WALTZ (1937), PEOPLE ON SUNDAY (1930), DEATH MILLS (documentary, 1945), THE SPIRIT OF ST. LOUIS (1957), MAUVAISE GRAINE (1934), KIDNAPPED (acting role, 1938)….plus more!